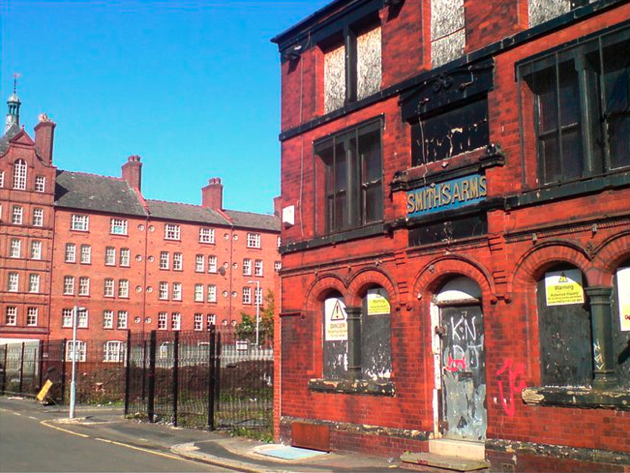 The Smiths Arms Public House, 2007. Following your application we have been considering adding the above building to the List of Buildings of Special Architectural or Historic Interest. We have taken into account all the representations made and completed our assessment of the building. Having considered our recommendation the Minister with responsibility in this matter, the Minister for Tourism and Heritage, has decided not to add The Smiths Arms Public House to the List of Buildings of Special Architectural or Historic Interest. I attach a copy of our Smiths Arms Notification Report, prepared for the Department for Culture, Media and Sport, which gives the principal reasons for this decision. If you consider that this decision has been wrongly made you may contact the DCMS within 28 days of the date of this letter to request that the Secretary of State review the decision. An example of a decision made wrongly wouldbe where there was a factual error or an irregularity in the process which affected the outcome. You may also ask the Secretary of State to review the decision if you have any significant evidence relating to the special architectural or historic interest of the building which was not previously considered. Further details of the review criteria and process and how to request a review are contained in the annex to this letter. Please click on link for map of The Smiths Arms Public House Street Map. If you have any questions in the meantime please do not hesitate to contact me, quoting our reference 469625. Further guidance on how to respond to this consultation and the type of information we are interested in can be found on our website at www.english-heritage.org.uk. Your personal details, along with the other information you have provided and information obtained from other sources, will be retained by English Heritage for administrative purposes and, where applicable, for future consideration. English Heritage will not release personal details to a third party if the disclosure would contravene the Data Protection principles. English Heritage is subject to the Freedom of Information Act 2000 and the Environmental Information Regulations 2004 which provide a general right of access to information we hold. We may provide the information you have supplied in response to a request made under this legislation, subject to any exemptions which apply. English Heritage will consult with external parties as necessary prior to releasing information. considerations were not taken into account or irrelevant considerations were taken into account. Having conducted a review, the Secretary of State will either affirm or overturn the original decision. It is important to understand that the original decision will stand until the Secretary of State has made a decision on whether the original decision should be affirmed or overturned. If the original decision is overturned, this will not have retrospective effect. Review requests should normally be made within 28 days of the date of this letter. Requests made beyond this period may be considered in exceptional circumstances. This e-mail (and any attachments) is confidential and may contain personal views which are not the views of English Heritage unless specifically stated. If you have received it in error, please delete it from your system and notify the sender immediately. Do not use, copy or disclose the information in any way nor act in reliance on it. Any information sent to English Heritage may become publicly available. Further to our previous correspondence, I am writing to advise you that we have completed our initial assessment of the above building to consider whether it has special architectural or historic interest. I attach a copy of our The Smiths Arms Public House – Consultation Report, which sets out the factual information upon which we will base our recommendation to the Secretary of State for Culture, Olympics, Media and Sport. If you have any further information or observations on the consultation report which you believe might be relevant to our assessment we would be pleased to hear from you. You can send these to us by email or by post within 7 days from the date of this email. If you do not intend to send us any further comments we would be grateful if you could let us know so that we can proceed with the case. We will consider all representations made before finalising our assessment and making our decision. We will notify you of the Secretary of State’s recommendation in due course.